FACT #1 - The City of Edwardsville has committed to sponsoring and hosting a Route 66 conference with speakers and workshops on Halloween Weekend 2015. 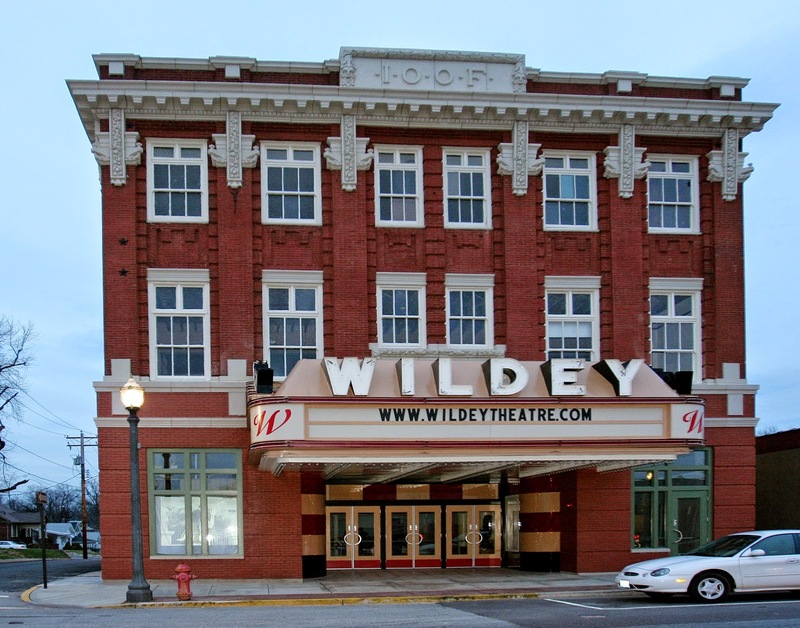 Wildey Theatre. Photo courtesy of Edwardsville photographer Scott Evers. FACT #3 - The Edwardsville/Glen Carbon Chamber of Commerce, who produces the annual Halloween parade at 6:30 pm on Halloween evening, has confirmed that they will produce a complimentary-themed parade on Halloween 2015. The traditional parade route follows the path of Route 66. FACT #4 - The Illinois Route 66 National Scenic Byway organization has pledged its support of this event. "The Illinois Route 66 Scenic Byway is excited about the Edwardsville Route 66 Conference and looks forward to participating in this very strategic event. The Route 66 Community will have a great time experiencing all that Edwardsville has to offer to visitors." William Kelly, Executive Director, Illinois Route 66 National Scenic Byway. FACT #5 - Author Michael Wallis and the Route 66 Alliance has endorsed this event. "Since there will be no official International Festival in 2015, we at the Route 66 Alliance consider the planned Edwardsville event to be the major gathering place for all of us next year." Michael Wallis. Dan Rice of the Route 66 Alliance also confirmed this to me yesterday in a telephone conversation.